The clinking coins, the lights, the buzz, the ringing, the jackpot! Slots are the very epitome of 21st Century casino gambling. They show just how far online games have come. The days of 3 white reels and some faintly blinking lights are gone. Today, machines have 3D graphics and effects, interactive bonus rounds, and movie franchises have taken the player experience to new heights. You may have seen other top slot games lists, but we are taking it to the next level. 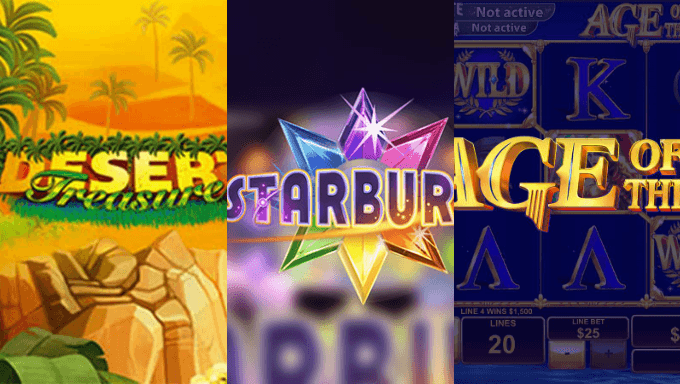 Hold on to your hats slot-pickers, its the run down of the "11 Most Popular Online Slots Games" on the market. This one could easily be at the top of this list as Playtech provides a slot comemorating one of the greatest sporting acheivements ever. 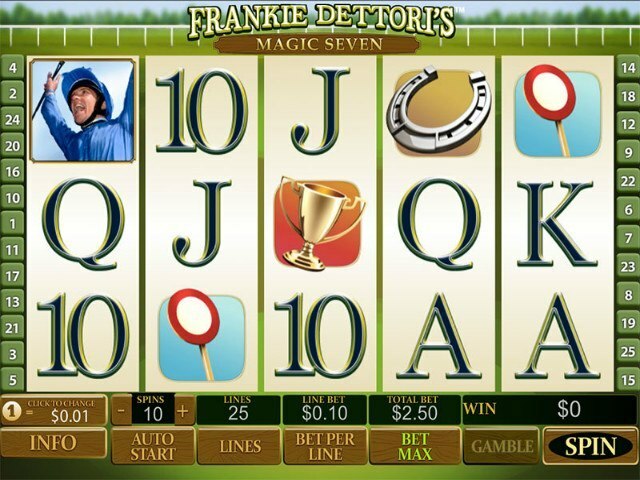 The slot comes complete with moving graphics reminiscent of Frankie's historic day. 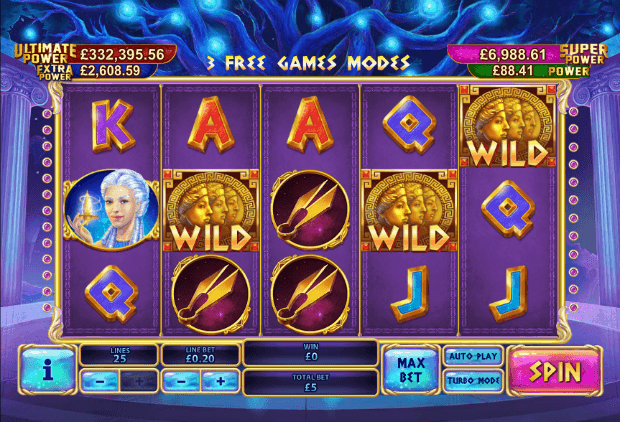 The game is made up of 5 reels and 25 pay lines with a few expanding wilds and free spin bonuses. The aim of the game is to line up three or more symbols in order, with the grand prize coming in the form of five Frankie headshots, meaning an incredible 7777x your wager. To straddle up with Playtech's topnotch slot title, visit Videoslots now! The spiritual successor to PlayTech's Marvel series, Age of the Gods brings the mythical Greek gods to life. This 5 reel offering has 20 paylines and multiple bonuses from various gods. The gods Zeus, Athena, Poseidon, and Hercules (yes, he's a god too) all offer their powers to create wild bonuses for players, possible up to x7000 yoru bet! See what the gods can do for you and head over to Mansion Casino! This amazingly popular TV game show, hosted by comeback king Noel Edmonds, has been converted to a 5 reel online slot game with 20 pay lines and a progressive jackpot. 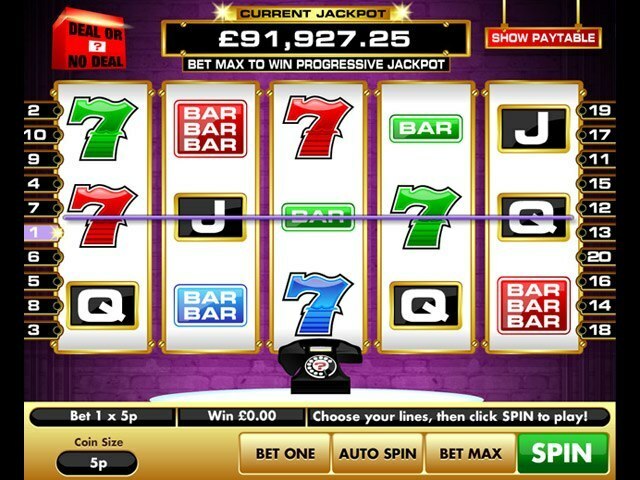 With Deal or No Deal you will have to bet the max to stand a chance of landing the jackpot. Great audio helps to capture the very essence of the TV show, and what has made it such a success. It’s a risky business, but the longer you wait, the bigger the potential rewards. To enjoy the thrill of the TV show while spinning the wheels, visit Ireland's heralded Paddy Power Casino today! The gods are back, and this time it's the sisters of fate taking center stage. The Three Fates have deemed your future to be full of riches with 5 reels and 25 paylines. Each Fate has their own bonus, as well as four progressive jackpots for you to win. Those four jackpots are available at any time with any stakes, meaning every spin could be that fateful win! 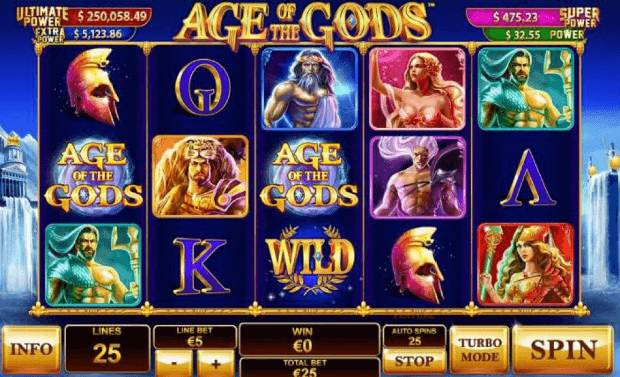 To enjoy this and other Age of the Gods slots, sign up at Ladbrokes today! 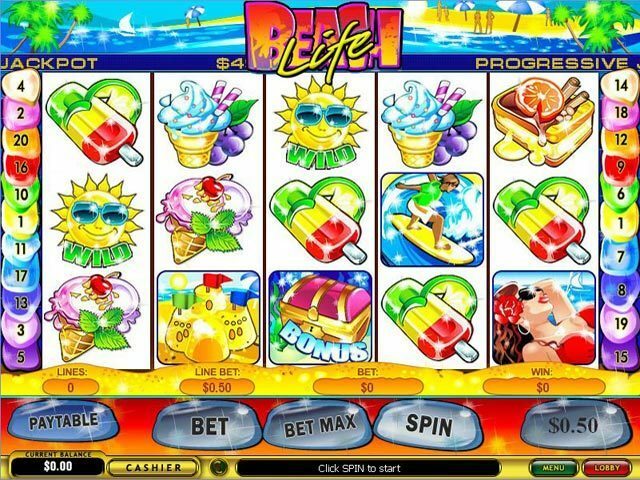 What first attracted you to the multi-million dollar jackpot slot game, Beach Life? Personality? Looks? A couple of cute Wild and Scatter symbols? Or was it maybe an average jackpot payout in excess of $2 million? I thought so. Call me cynical, but the public's relationship with this Top 11 slot is probably not based on physical appeal; but rather the basic graphics and mammoth potential winnings. To be the next big winner on Beach Life, starting spinning with Paddy Power Casino today! 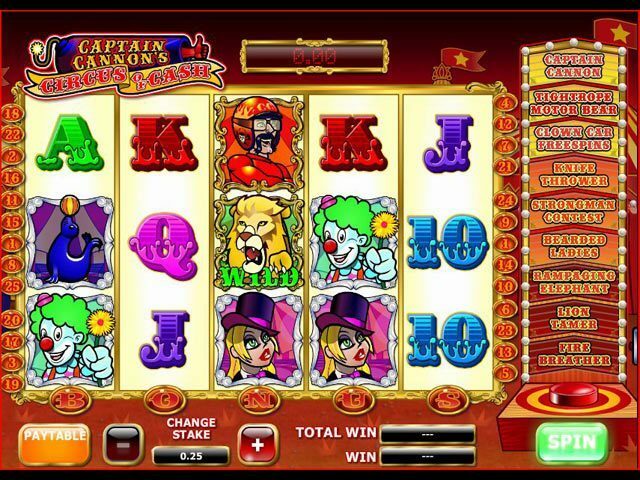 Captain Cannon's Circus of Cash slot game is a shoe-in for the top 11 based largely on its unique and innovative bonus round feature. To be more precise, we should say bonus rounds, because there are no fewer than 9 different bonuses and a progressive jackpot. Like the perfect date, this slot game is funny, it’s entertaining and it has bearded women. To join in the all the circus fun, visit Gala Casino today! Once Playtech began churning out the Age of the Gods, they really began t(w)o churn them out. 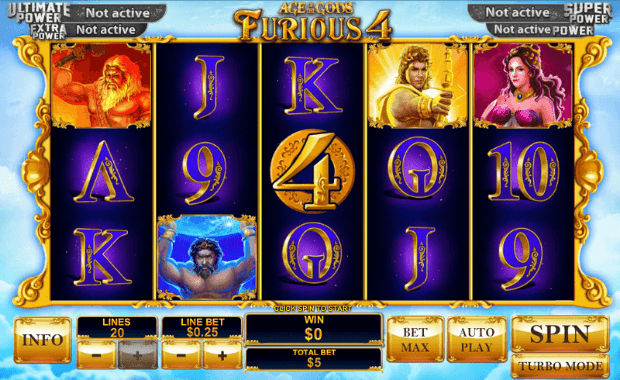 So let's triple down with the Furious 4, a 5-reel game with 20 adjustable paylines. There's no specific gods this time, but the ones involved provide boosts to help you with through different ages, as well as providing four possible jackpots to win! You won't be so furious after giving this game a try, so, visit Slots Heaven now! Norse Mythology: the romance, the lightning, the big man with a hammer, you get the picture. 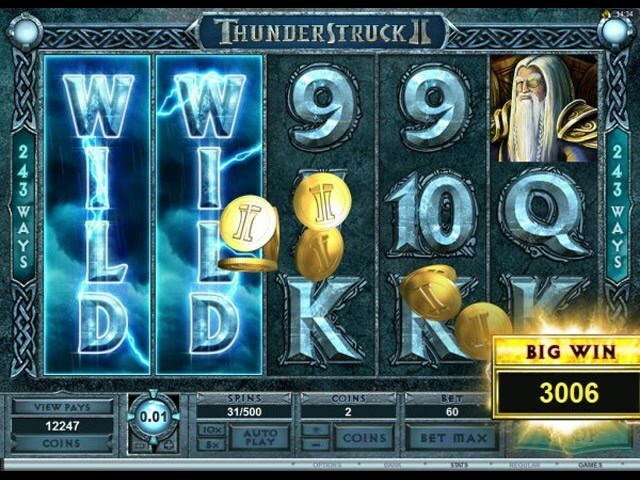 If not, you are better off looking at Thunderstruck II slot. It follows on from its popular predecessor, Thunderstruck - obviously. However, the graphics and sound effects have taken a step up in quality. This is an epic machine with 243 pay lines enabled, and a series of great features as you journey through the Great Hall of Great Spins. The stuff of Legends! To create your own legend, start playing today with Betsafe Casino! This entertaining online slot game feels like a fun Friday night on the town packed with great extras like bartender bonus, beer symbol wild, dance floor symbol scatter, and a progressive jackpot called Dollar Ball. Its not rocket science why the A Night Out slot is a success. It has everything you'd expect from a night on the town lurid cocktails, lots of lights, and lots of action. Join Kat, Roxy, and Cindy on their Night Out and maybe you'll get lucky. Begin your night on the town, visit Coral Casino today! X marks the slot. We know why Desert Treasure is here. Who hasn't dreamt of finding treasure armed with nothing more than a secret map? Well your dreams may come true if you successfully negotiate the killer cobras, cunning sheik, and beautiful princess to hit the Hidden Oasis bonus feature. 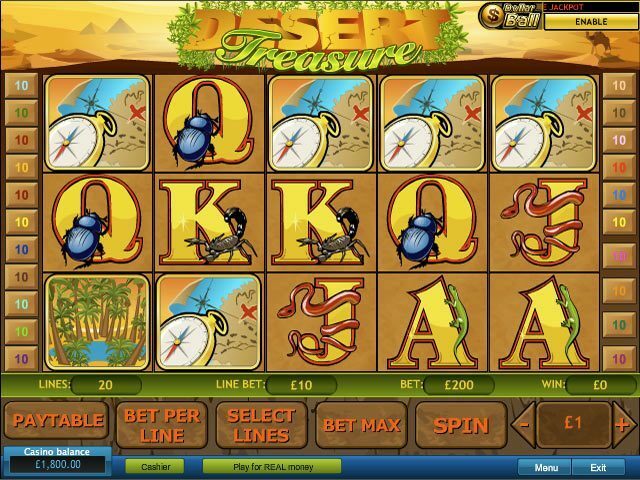 Here you enjoy treasure chests and ancient urns, all the while adding to your winnings. To begin spinning for your life-changing treasure, visit Gala's excellent online casino offering today! 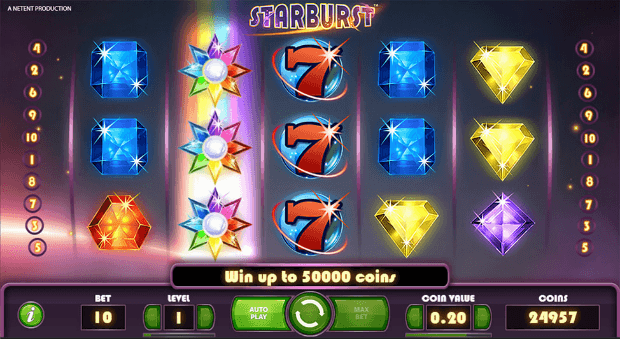 No list of the most popular online slots is complete without Starburst. 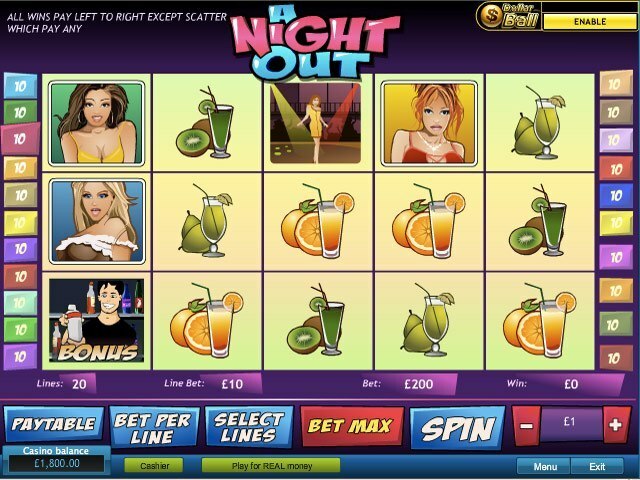 The legendary NetEnt game has become synonymous with the idea of online slots and for good reason. The space-themed game is a 5-reel, 10 payline game that adheres to "less is more." As simple as it might be, Starburst seems like a classic arcade game that makes it so much fun to come back to. To enjoy this slots classic, visit Casimba today!